12 May 1883 The Will of Mary Ann Waterfall late of Greystones Sheffield in the County of YORK Widow who died 3 April 1883 at Rhyl in the County of Flint was proved at WAKEFIELD by Sarah Frances Waterfall of Greystones Spinster the Daughter the sole Executrix. Effiects: £2550 19s 7d. Sarah is described as a boarder. WATERFALL Edward Joshua of Sheffield mercantile clerk died 10 August 1892 Probate London 27 August to Sarah Frances Waterfall spinster. Effects £3000 3s 10d. WATERFALL Sarah Frances of Dehenfryn Abergele DENBIGHSHIRE spinster died 7 May 1912 Probate LONDON 26 July to William Waterfall company director Florence Mary Bown (wife of Cecil Bertini Watkin Brown) and Thomas Walter Hall, solicitor. Effects £6769 14s 6d. 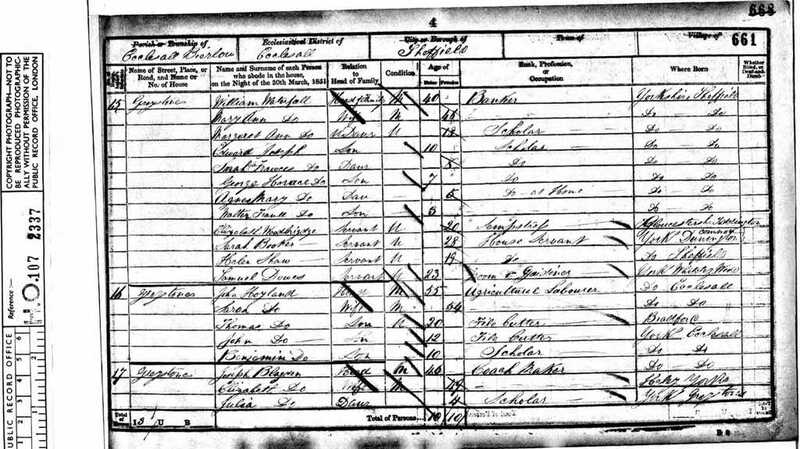 [S3] Birth Indexes, Compiler: General Register Office, June 1842 Sheffield 22 612. 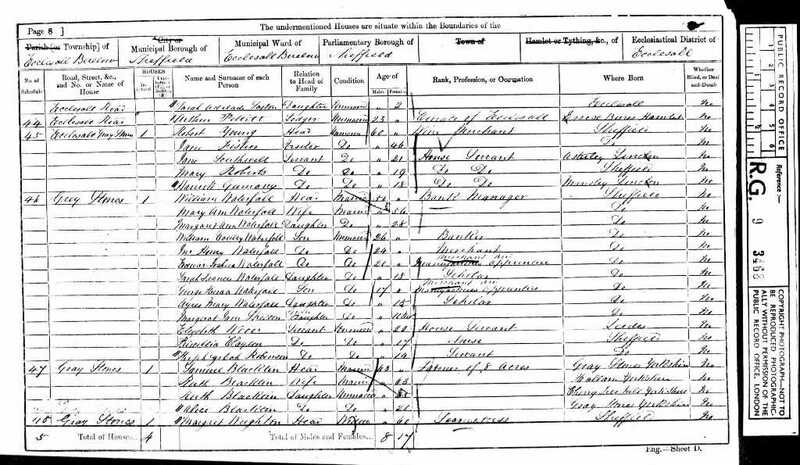 [S10] 1891 England Census, (Ancestry.com), RG12., RG12/772 folio 134 page 51. [S1] Death Indexes, June 1912 St Asaph 11b 401 (70 years). [S4] NBI, Compiler: Federation of Family History Societies & Associates, (2010, Period, 1538-2008), Aged 70 years.